Previously, the adventurers wrapped up all the loose ends in Bournemouth. They engaged Lady Ulrikke von Rosenberg in conversation about her research into strange humanoid creatures stalking the countryside of the Daerlan empire. They could push the research of the frustrated margravine into a useful direction and potentially making a new ally. The adventurers also spent some time preparing for their upcoming trip by purchasing supplies for their trek towards Pinefall in the foothills of the Silverpines. This included a visit to Alfred Barnaby’s shop to see about some healing elixirs. They found the scatterbrained man unable to reach his supplies due to a ghostly apparition having invaded his basement laboratory. The adventurers went down and confronted the apparition, which turned out to be a pesta, a harbinger of plagues and blights, which they managed to defeat, but not without a stiff fight. One in which Emrys was strangely transformed into a radiant, almost celestial version of himself! The adventurers readied themselves to depart from the River Stone, heading out to the harbour in order to board a boat taking them upstream towards Egremont with the final stop being Blackbridge. Falka met them outside the inn and walked them to the harbour, bidding them a safe journey. The ship Astrid had arranged passage on was an eighty foot, two-masted caravel, with triangle, cream-coloured sails. Astrid and Emma, who had carried the company’s chest of riches from the inn to the harbour carried it up the gangplank, at the top of which they were met by two of the crew; Neiman, a blonde-haired man with an even tan and an easy smile, and Ridley a young girl who was easily mistaken for a boy, with a cleft lip and a speech impediment. After Astrid asked permission to embark they were invited aboard with a very warm welcome. The adventurers settled themselves on the forward deck, where Emrys, who was still wearing a heavy hood and a thick blindfold to hide the strange malady which was afflicting him, sat down with all of their belongings and started strumming his lute, playing a melancholic melody. Everyone got a quick primer of the rules aboard the ship; the rear deck was off-limits, but the passengers were invited to walk around the main and forward decks. The passengers were also allowed to take comfort in the forward hull if they wanted to, but Astrid warned that it might cause some sea sickness if the weather turned, which prompted Luca to take his place in the middle of the main deck, determined not to fall ill.
James asked whether he would be allowed to climb the main mast and Neiman differed authority to Ridley, who looked James up and down and nodded her approval. James took an interest in the young girl and asked her to show him how to climb the mast, which she happily did. She showed herself to a dexterous and excellent climber. When Neiman found out that Emma was a priestess of Sedna he insisted on introducing her to the captain on the rear deck. He turned out to be an old, broad shouldered, one eyed man, whose old facial scars read like a map of the world. Neiman invited Emma to bless the ship, the crew and their voyage, which she reluctantly did. The last crew member was Roddy, a plain-faced, dark haired man who didn’t possess the same charisma or willingness to converse as his crew-mate Neiman. Several other passengers were aboard the ship; a young lady of noble birth, travelling with her infant daughter and a young, troublesome lordling by the name of Simon. They were accompanied by a middle-aged knight by the name of Dame Idonia, whose half-plate armour and shield were gilded in vermilion, showing her to be of the Order of the Shield. The last two passengers were a young couple; Rickard of Allenham and his young wife Willow, both commoners on their way from Bournemouth where Rickard studied botany at the academy, to Allenham where they made their home. Captain Lorne ordered the two bosuns, Roddy and Neiman, to raise the sails while Ridley untied the ropes from the pier. Pretty soon the sails caught wind and the boat started to inch forward. 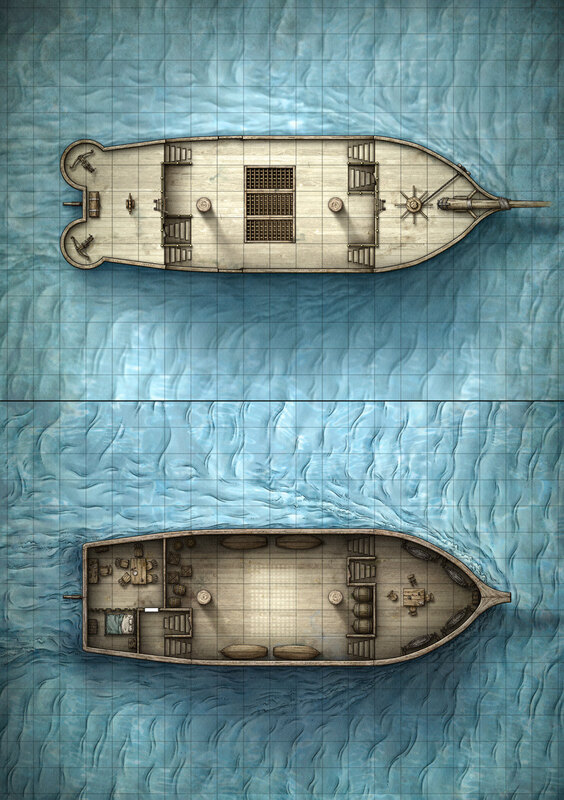 Expertly the captain steered the boat onto open water before turning back towards the city and angling to go up-river along the southern fork of the river, getting a great view of the southern end of Ioun’s Isle and eventually sailing past the Landsdown auction house, where the adventurers saw the two regular guards stand at attention, boiling in the early morning sunlight. Eventually the ship left Bournemouth behind as it slowly zig-zagged upriver. Rickard and Willow came up to Luca, attracted by the tome he was reading and tried to make small talk with him. Rickard introduced himself and his wife and explained that he was a student at the faculty of natural philosophy. He was delighted to hear Luca’s lie about being a mage studying at the Circle of Mages in Kingsport. The conversation quickly died out and Rickard excused himself and his wife and they went to introduce themselves to the noble lady and her guard. In the meantime, lord Simon had taken to running around the deck, kicking over buckets, uncoiling ropes and – his favourite – hanging off the side of the railing so far that he could fall overboard at any moment. Emma, who had decided to use the several hours to Egremont to meditate and further attune herself to Muirgheal, found herself increasingly frustrated by the young lordling and used a sliver of Sedna’s power to project her voice in an impressive way and catch the lordling’s attention. As soon as she did, she saw that she had frightened him significantly, and saw that Dame Idonia was advancing on her quickly. She took a knee in front of the young lord and kindly implored him to obey his lady-mother, who had been commanding him to behave ever since embarking onto the Old Queen. That seemed to calm the young lord down for a little while, giving Emma some time to focus on Muirgheal. Unfortunately, she felt like the intelligence inside the weapon was at a constant distance from her and she wasn’t able to reach it. The beautiful Fairfields countryside rolled by, showing off the incredible wheat fields and grazing pastures of the Bourne valley. The different lands and pastures partitioned off from one another by ancient, moss-covered, dry brick walls, like a fertile mosaic. Luca had grown dissatisfied with being in the hot sun and had decided to take refuge inside the forward hull, confident that he would be able to stomach the motion of the ship without having an eye on the horizon. Inside, he started experimenting with some of the simple cantrips and the effect that lyrium crystals would have on them. He quickly concluded that lyrium was able to act as an arcane focus as well as a universal spell component, which was valuable knowledge to have gained from such short experimentation. James was the first to notice a strange bank of fog coming up along the river. The crew members picked up on it swiftly and the captain ordered the sails to be lowered so that the ship would slow down. While the bosuns were taking down the sails, Ridley climbed out onto the prow to keep an eye on any possible rocks, banks or debris. When the ship was completely enveloped in mist, a cry could be heard out followed rapidly by a splash. Little lord Simon had fallen overboard and was in need of rescue. At the same time, malicious humanoid creatures climbed aboard the ship and attacked the crew and passengers. Luca knew them to be drowners, sometimes called muck-dwellers, a hold-over from the last Conjunction of Planes. They were a nuisance in small numbers, only troubling lone fishermen, but they were climbing up the side of the ship in numbers larger than to just be a nuisance. Emma didn’t hesitate, took Muirgheal in hand and jumped overboard to rescue lord Simon from the drowners who were pulling him further into the depths with every second. In the meantime, the rest engaged the drowners swarming the ship. Emma valiantly fought off the drowners and almost managed to free lord Simon from their clutches, but the underwater surroundings were new terrain for her to do battle in, despite being greatly aided by Muirgheal. Eventually she succumbed to her wounds just as the last of the drowners on the ship were defeated. Astrid came to the rescue and carried lord Simon to the ship and went back for Emma and Muirgheal. In the meantime, a new creature had appeared, this one a master of evasion using illusions and invisibility to move through the fog. Its patterns across the ship suggested that it was trying to find something, eventually settling on Muirgheal as it was being assaulted on all sides by the passengers and crew. During this fight, Luca took a chance and cast one of his eldritch spells using a lyrium crystal as an arcane focus and saw the effects of the spell enhanced significantly! As it tried to escape overboard, James, who had had doggedly been pursuing the strange creature, launched an arrow into it and saw the creature’s body bob to the surface of the water. He dove into the clear waters and caught up with Muirgheal before it reached the bottom. When he resurfaced he noticed that with the death of the second creature, the fog was retreating, revealing a small rowing boat a little further upstream. Standing on the boat was what appeared to be a young woman wearing a bright blue, hooded cloak. Once she saw James had retrieved Muirgheal she turned around in the boat and it started to move away, further upstream and out of sight. When Emma was resuscitated and everyone had recovered somewhat from their wounds, the young noble woman came to thank the company for the efforts of saving young lord Simon. She pledged that they would always be welcome at house Tolliver, the family to which she belonged. With the situation back under control and the fog retreated, the ship went back underway and soon, Egremont came into view. Previously, the adventurers split their time rather evenly between the library of the Bournemouth academy and the Landsdowne auction house. 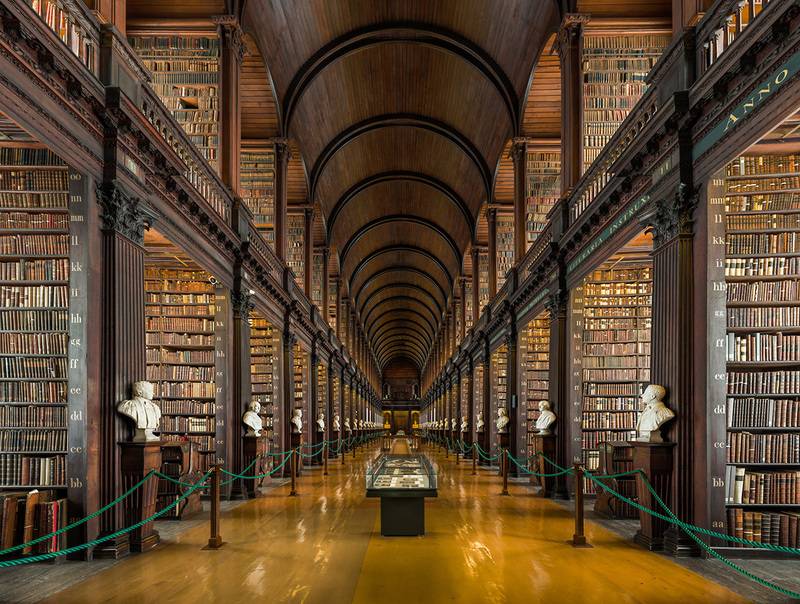 The library allowed them to find out more information regarding the Age of Fear, certain legends and about the probably destination of Lord Destan’s trip. The auction house was the scene for an auction where a Lyrium crystal pendant was being competed over by two groups of elder races, both intent on buying the rare crystal. In the end the dwarves walked away with the crystal, appearing to have the deeper pockets. While Emrys was sleeping off his hangover from his visit to the Golden Cockatrice from the night before, and Astrid took the horses and carts to be sold before their voyage the next day, and James spent the morning in training to the point of gaining some level of clarity on what happened to him inside the Sheridan mansion that night where he was separated from the group, Luca and Emma returned to the library of Bournemouth academy to finish up some loose ends to their research. Emma researched the story of admiral Karadin, gaining some insight in the history behind the song that Muirgheal had sang to her right after she had bonded herself to it. While an interesting story, Emma had hoped for a better understanding of what the trident was trying to convey to her, or even if it was trying to convey anything to her at all. During this time Luca was frustrated in his efforts to find out more information about lyrium crystals. After hours of research yielded nothing of value, Luca concluded that the library may have been sanitised of information regarding the rare crystals and that a different source would like be required to learn how to make use of the crystals. He decided to take a walk around the library to clear his head. When Luca came upon the luxurious reading room in which Lady Ulrikke was performing her own studies. Luca had noticed that she, too, had been frustrated in her attempts and he found her staring blankly out of the window while her guards had made themselves scarce. After a brief conversation, she revealed that she had been researching the sightings of skaven, khazra and minotaurs in the south, west and north of the Daerlan empire, respectively. Emma was asked to join the conversation with Lady Ulrikke and introductions were made. Lady Ulrikke shared sketches of the beastmen she was researching. The skaven were identical to the ones the adventurers had encountered at Lynnecombe. The khazra were half goat half man and similarly savage and tribal, like the skaven. The minotaurs, however, seemed disciplined, martial, well armed and armoured. Lady Ulrikke shared that some within the empire thought the beastmen to be set loose upon the empire by their rivals, Lyria and Hellmark. She was also keen to hear details about our adventurers’ encounter with the skaven in Lynnecombe and she was surprised to hear that the beastmen had been found in the heartland of the Lyrian kingdom. She gladly accepted Emma’s advice to seek out the curious leather armour at the Landsdowne auction house which was made of the same strange leather that the skaven wore. The last thing that Luca and Emma agreed upon with Lady Ulrikke was that they could use Falka as a go-between, should either one of them manage to uncover more valuable information regarding the beastmen, while Emma implored the young noble woman to use her influence and standing to find a way to get the empire to work together with the Lyrian kingdom in the defence of what she believed was imminent; a new Age of Fear. Falka delivered her treatise on the Age of Fear to Luca and she was paid her fee. Two items of curiosity were described therein that went beyond what was commonly known; namely the name and description of Aureus the Golden One, a very long lived saint of Paladine who was one of the founding members of the Senhadrim, as well as the dichotomy between rural and urban populations in Lyria and their different views on the un- and supernatural. This was caused by the devastating decline in the human population in Lyria. Humanity only saved themselves from extinction by banding together and hiding behind the thick walls of ancient fortresses. While Luca and Emma were at the academy and Emrys was recovering from his hangover, James and Astrid had found a seedy, waterfront bar where they – well, mostly Astrid – found some entertainment by getting into a fist fight with five lewd men. The fight was eventually broken up by the Bournemouth city guard, who promptly arrested the men. Astrid lost a tooth and had gotten some scratches, but she seemed to have enjoyed herself tremendously. James was intent on finding a high quality house of delight, but was disappointed to hear that there were no such places around. They decided to head back to the River Stone. The adventurers came together at the River Stone and discussed what to do with the remainder of their time. Astrid had booked passage to Blackbridge by way of Egremont for the following morning and everyone had felt that their time in Bournemouth had come to an end. A decision was made to shop for some supplies that would be useful on the road to Pinefall, and one last stop would be made at Alfred Barnaby’s Concoctions & Decoctions to see about the healing potions. Arriving at the curious alchemy shop they found that the door was locked. Right as they were about to depart, Alfred appeared to peer at them through the window and opened the door. He seemed scatterbrained, even for him, but let them into the shop. He was sorry to inform him that he didn’t have access to his potions. He seemed troubled and with some prodding the adventurers managed to get him to explain what was bothering him. It seemed that his basement laboratory, where he kept his stock of potions, was curiously haunted by a strange spirit of an older lady. A deal was made that he would part with five healing potions, one for each of the adventurers, if they could take care of the spirit, that would be one thousand gold crowns worth of materials. The adventurers agreed and descended through a trapdoor into the basement below. The basement was made up of two adjacent rooms. The first was mostly used for storage while the second seemed like a well-stocked laboratory. Shelves lined with books, tables filled with beakers, cups and tubes, and many curious items and cauldrons. Along one of the bookshelves the glowing apparition of an elderly lady could be seen hovering. She seemed not to take notice of the adventurers. Emma could hear the muffled sounds of water running somewhere in the distance, and noticed that one of the walls of the second room seemed to have been recently bricked up. The brickwork was rather shoddily done and it gave Emma an idea. She asked Emrys to take out Toruviel and use it to cast a blast of wind against the wall. Emrys reluctantly shuffled forward until he was within range of the wall, all the while keeping his eye on apparition who still seemed to ignore the adventurers. Emrys used Toruviel and the shoddy brickwork caved in to reveal that the room originally was much larger and that behind the wall lay the corpse of the old woman, surrounded by flies and rats which scurried away. Also, there was a grate which lead to the Bournemouth sewers. The moment the corpse of the lady came into view, she screamed “Nooooooooooo!” and flew at Emrys, passing right through him, taking his breath away and casting icy frost all over his body, causing him a great deal of pain. At that point everyone went into action. Emrys retreated as Astrid and James engaged the apparition while Luca went for the body, believing that he should burn the body in order for the apparition to disappear. Casting flames onto the body while James and Astrid fought the apparition, Luca ignited the body and Emrys fanned the flames, but it didn’t seem to make a difference. In the meantime the apparition was proving very difficult to defeat and it vomited a noxious stream of vapour towards Luca in retaliation for setting fire to her corpse. Emma took Muirgheal and used it to the stab the apparition with great success. 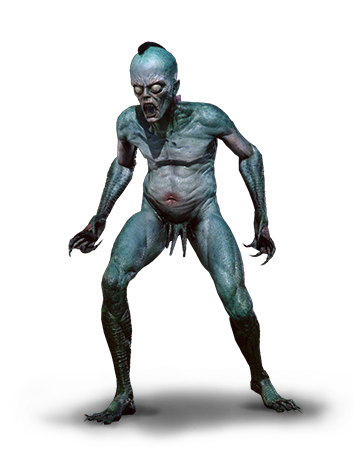 The apparition then revealed itself to be more than just a normal ghost as it turned from the old woman into a hideous pesta, a foul undead creature who brought with it plagues, blights and diseases. Noxious fumes, disease and an unnatural hardiness, it took every once that the adventurers had to offer to defeat the pesta. A bizarre turn of events turned Emrys’ hair silvery white and his eyes radiating with an almost celestial light. This seemed to startle him as much as everyone around him. Near the end, Luca unleashed scorching jets of fire in an attempt to best the undead creature, but instead igniting the built up noxious fumes, which horribly burnt both himself as well as James and Emma. Luckily, Emrys and Astrid managed to defeat the creature and use the ample stores of healing potions to revive the others. Once Emma was conscious again she used the healing powers of Sedna to heal most of the wounds suffered at the hands of the pesta. 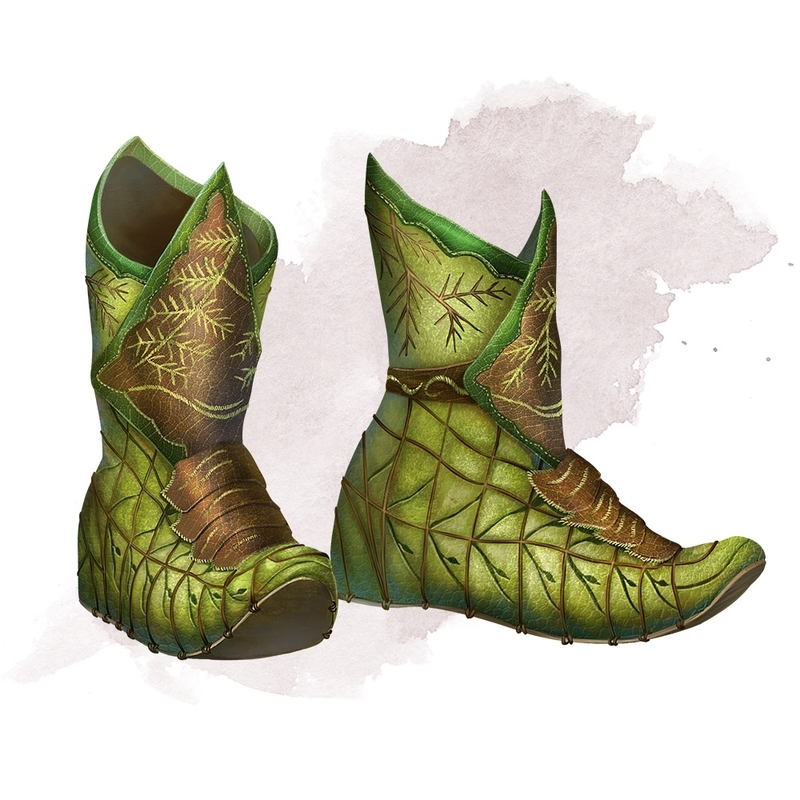 James searched the room and found a cache of healing potions of different kinds, a potion of fire breathing, and a set of curious boots with a beautiful boots, which Emrys, with a little help from Toruviel, instantly recognised as Boots of Elvenkind. Emma still felt incredibly ill and so it was decided to leave the basement and confront Alfred. He seemed relieved that the adventurers managed to defeat the pesta but was tight lipped about the body behind the false wall or about how it got there. Fearful that the adventurers would turn him into the Bournemouth guard, he offered a magical dagger as payment for their services after the adventurers said that the cache of potions had been lost in the fight. He was encouraged to tread very carefully, knowing that the adventurers would be keeping an eye on him. Emrys and Luca decided to return to the river stone. Emrys donned a hood and blindfold in order to conceal the strange change he had undergone while fighting the pesta. At the same time, Emma wanted to visit the river Bourne outside of the city in order to perform a cleansing ritual in order to heal herself from the disease that the pesta had inflicted upon her. She was accompanied by Astrid and James. The returned to the River Stone in the early evening. The adventurers decided to eat their dinner in their room together. Mostly so that they could have some privacy and keep the strange appearance of Emrys a secret. Luca decided to run one last errand and purchase two pearls that would allow him to identify any magical items that they might find while on their path, while also looking into the properties behind the dagger that James had found in the laboratory. 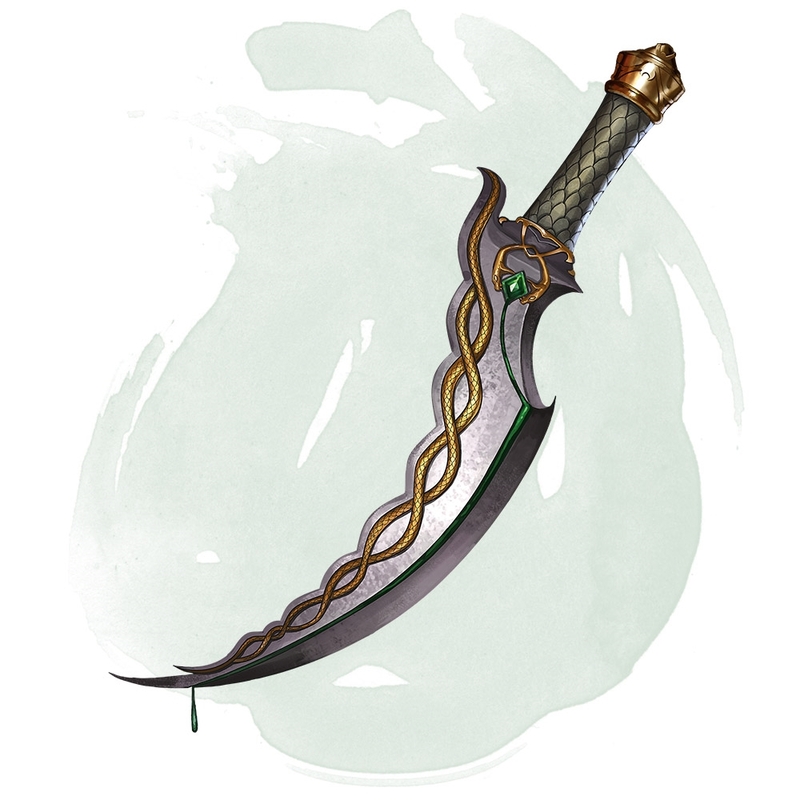 The dagger turned out to be a Dagger of Venom, which spawned a conversation about the morality of using such an item. It was decided that nobody had any deep moral objections against the use of the dagger. At least none that they openly shared. Previously, the adventurers had made their way to the Inn at the Crossroads and rented rooms for the night. During the night, the room that Astrid and Emma were staying in was invaded by an intruder who trying to steal from them. Emma woke up in the nick of time and she alerted several others. Even though the intruder used many arcane tricks to try and prevent from being caught, eventually the pursuit ended with them tackling the thief to the ground. It was none other than the szygani Vadoma, whom the adventurers had met earlier at the seat of friendship. She had tried to steal all of the strange red crystals that the adventurers had found in the catacombs below Lynnecombe. When Vadoma was questioned about the nature of the crystals, she explained that they were mythical Lyrium crystals, which were used in times of high magic to create legendary magical artefacts and fuel powerful spells. The adventurers decided to convince the guard to spare Vadoma the gallows, though not unanimously. The following morning the adventurers continued on the road to Bournemouth, arriving late in the afternoon. Upon entering the city it became clear to the adventurers that the city was full of entrepreneurial types trying to make a living off of the innovations coming out of the famed Bournemouth Academy. Many curious goods were sold on the narrow, crowded streets. Despite it all, the city seemed joyful and optimistic. A passerby was asked for a suggestion on where to stay, and two options were provided, either stay at The Golden Cockatrice in the Kettering district, or stay at The River Stone in the harbour district. If Ioun’s Isle, the island fortress at the mouth of the river which gave the city its name, was the beating heart of the city, then Kettering was its soul. The Golden Cockatrice was rougher around the edges than The River Stone, and so the adventurers chose to stay at the latter, considering it the safer option, having been the subject of a nighttime intrusion and sitting on a pile of platinum. The horses and cart were left in the care of a stable master by the name of Siggi, and the inn was run by Elmond, a large, dour-faced man, and Bella the Barkeep, a rotund woman with a pleasant face. A large room was arranged that would house all five of the adventurers and some food was consumed. All the while Emrys talked to two of the young girls on staff at the inn, as well as Elmond, for more information about Lord Destan. It appeared that Lord Destan had housed Gorden, Jenna and Mark, the three Sheridan guards that accompanied him, at the inn, but he himself had stayed at the prestigious Landsdowne auction house. Elmond could also share that Lord Destan departed after staying in Bournemouth for a short few days, heading to Blackbridge. It was decided that Astrid, Emrys and James would stay at the inn and get an early night’s sleep, but that Emma and Luca would make their way over to the Bournemouth academy to see whether they could start their research early. Luca had a contact at the library that he wanted to find as soon as possible. The two made their way from the inn to Ioun’s Isle and entered the academy campus. The atmosphere was academically vibrant, with students spending the warm summer evenings on the lawns and in the parks on the isle, studying, debating and dreaming up new ideas and theorems. The duo noticed that Ioun’s Isle was being guarded by Crownguard, not the city guard. The two found the library easily and found it to be open and accessible. A hall the length of a hundred paces, lined symmetrically on either side with bookcase alcoves with large windows providing as much natural light as possible. The floor was covered in polished wood and several reading rooms were available on either end of the hall. Librarians were busy helping researchers and students or were busy organising and returning books to their proper place. Two hundred thousand books were at their disposal. Luca started asking the librarians after his contact Falka and they seemed confused at the mention of the name at first, but eventually brought him to a librarian they called “Faulkner”, a name that was recommended to Luca by a man called Shakeslock when he visited the Seat of Friendship the day before. “Faulkner” turned out to be the person Luca had corresponded with, and she was delighted, if somewhat surprised, to see him. Luca explained the reason for his visit and his hope that she might help him find the information he was looking for. Once it became clear to Falka that they were looking for Lord Destan she explained that several rides ago she also helped him find information that he was looking for. The stars seemed to align and Falka brought them to a luxurious reading room for them to use. Luca wanted to repay Falka by allowing her to read his precious tome. They had corresponded about the contents of the tome in the past and the prospect of going through it made her excited. When she started paging through the book she got very cross and accused Luca of playing a trick on her, revealing that each page in the book was empty. Luca was mystified as he saw the infernal scripture he had always seen when reading the book. When Falka finally formally introduced herself to Emma as “Falka of Dunagore.” Emma asked Falka if she knew about the legend of an admiral who was betrayed by a female companion at Dunagore, which she had picked up from one of the songs that Muirgheal had sang to her. Falka recalled a tale about an admiral by the name of Karadin who had fallen to foes after being betrayed by his daughter. Emma would be back to help in the morning and departed for the inn. Falka kept her home in Kettering and would accompany the priestess part of the way and Emma saw an opportunity to ask Falka some questions and get to know her better. Apparently, Falka had grown up on Dunagore Mount where the Order of the Shield makes its home. Her mother was a cook in the service of the order, while her father was an armsman. She was noticed to be intelligent by the Knight Chronicler of the order and she was set to work for him. Eventually she was sent off to study at the Bournemouth academy, where she studied at the Depart of Ancient History. She was mostly interested in finding out why the hall- and doorways of Dunagore Fortress seemed to be made for people who were much taller than people are now. The following morning it was decided that Astrid, Emrys and James would explore the city and procure some supplies. Astrid would also try and arrange for passage to Blackbridge on a river boat later in the day, first promising James to back him up as he would explore the seedier parts of Bournemouth in search of information. Emma would once again head for the library to help Luca out with the research. The trio found market square and Tolliver square back to back in the centre of the city. Market square was chock full of stalls selling mostly foodstuffs. It had not gone unnoticed that many of the items going through the harbour district were also staple food, produce and fodder. Fairfields, of which Bournemouth was the defacto capital, was known to be the breadbasket of Lyria and many destinations beyond. Tolliver square was a more dignified square where House Tolliver, the most prestigious house in Bournemouth, kept their mansion. The Daerlan empire also had a rather prominent consulate on the square. The next stop for the trio was the Landsdowne auction house. They found it on the southern part of the river, which was rich and heavily patrolled by city guard. Two guards in the employ of the auction house stood out front. After a short chat, Emrys managed to convince them to allow him an introduction to Villem Landsdowne, who ran the auction house. After convincing Villem that Emrys was working for the Sheridan family, they spoke about Lord Destan and him staying at the auction house during his visit to Bournemouth. The family apparently never purchased anything at auction, but were notorious for having sold many curious and magical items. Lord Destan did show an interest in a set of leather armour which he claimed to have a curious origin. With this information in hand, Emrys and James decided to visit Ioun’s Isle and find Emma and Luca. Astrid headed down to the harbour to find passage upriver to Egremont and Blackbridge for the second day of the next ride. Emma had since made it to the library and had met up with Falka and Luca. Falka had uncovered one part of a poem that mentioned the Crimson Tower, which Lord Destan had found during his research. The poem was incomplete, and Lord Destan had spent a lot of time trying to find the rest of it, but to no avail. The morning was spent trying to find the companion piece. Again, the stars seemed to align and the second piece of the poem revealed itself to the researchers. The spectres rise, the veil relents. Bear witness to a great torment. Of rending flesh and breaking bones. An evil which does not belong. Hark! The crusaders’ painful moans! You hear their wicked, fiendish tongue. With anguish of their victim’s song. And scratch away the thin veneer. The crimson tow’r might then appear. The white eye is to be explored. And look along its placid shore. The scarlet walls will come ‘to sight. Descending shade will a bridge make. Robs you of all your earn’d delight. For time to enter is finite. Before the tow’r returns to naught. Replay events will be your lot. And hope you find that which you sought. The subject of the next topic to research had just come up when Emrys and James arrived at the library and found the others in the reading room. They shared the information they had found about Lord Destan with one another. Falka had left the group in order to search for a map of Pinefall and the village of Bristlecone, which she knew to be the destination for Lord Destan’s onward voyage. It was at this time that some of the group started to notice that the library was becoming more and more devoid of researchers. Soon, it was discovered that a noble lady dressed in expensive black clothing, wearing her blond hair in a tight bun, accompanied by four guards armoured in black armour with silver trimmings, was ordering the library be shut off from the public. A quick inquiry at one of the remaining librarians revealed her to be Margravine Ulrikke von Rosenberg, a student at the academy’s faculty of Diplomacy and Statescraft. She was the daughter of Count Ardel von Rosenberg, the Imperial ambassador to Lyria, who, in turn, was the younger brother to Duke Eggbert von Rosenberg, the Suzerain of Fintra, a very powerful nobleman in the Daerlan empire. Emma quickly assumed that since the adventurers were using the luxurious reading room, it was very possible that they were going to be ejected from the library as well. Luca seemed unconcerned but James began checking whether or not the windows could easily be shattered to make for a hasty exit should things get out of hand. Previously, the adventurers departed from Kingsport and headed for Bournemouth. The goal of the first day way to reach the Inn at the Crossroads, halfway to Bournemouth where the Silesian Road split off north to White Fork. They had lunch at the Seat of Friendship, a glade formed by a primordial oak tree, protected by a group of druids who promoted the glade as a communal place. Many different people took their rest there, including a group of three szygani. Emma decided to approach the szygani and talk about esoteric matters. Vadoma, the defacto leader of the group engaged Emma in a friendly manner. Emma felt confident enough to ask the szygani about the strange gems the group had found in the Lynnecombe catacombs. The szygani said they looked like ordinary crystals and proposed a trade for a silver necklace and pendant, which Emma agreed to. After continuing their journey, about an hour away from their destination, the group changed upon two merchants who were beset upon by their traitorous guard. The adventurers decided to intervene on the merchants behalf and defeated four of the guards and drove off the remaining two. Trent and Oliver were merchants on their way back to Kingsport but agreed to return to the Inn at the Crossroads with the adventurers, as they were convinced it would be safer than travelling on to Kingsport without protection at night. 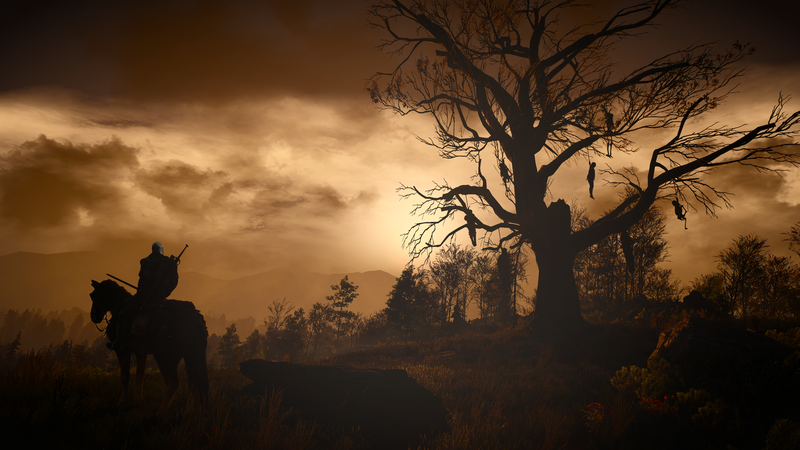 The ride from the site of the combat to the Inn at the Crossroads was a quiet one. Trent and Oliver sat on the back of the cart, dangling their legs off the end while Emrys laid in the back of the car, uncharacteristically silent after being seriously wounded in the battle with the traitorous guards. Despite Emma channelling Sedna’s healing graces into Emrys’ wounded frame, he needed a moment to compose himself. James decided to drive the cart so that Emma could take a look at the flesh wound he had incurred during the fight. She cleaned and bandaged it and was confident it would not lead to infection. They arrived at the inn around supper time, finding it the size of a small village, surrounded by a wooden palisade, complete with their own guards keeping the peace. Two gates, one looking out over the Silesian Road, the other looking out over the road leading north to White Fork, allowed entrance onto a wide open space surrounded by a stonemason tavern building, large stables with an overhead hayloft, two large buildings with rooms of different sizes and qualities, as well as host of log cabins and bungalows for staff as well as guests. Outside of the palisade there were several small houses, huts, carts, carriages and tents set up by travellers and more permanent residents. The adventurers noticed another, colourful szygani carriage standing on the opposite side of the junction than the inn. Inside the palisade the adventurers found a liveliness of different visitors, all sitting on wooden tables and benches outside of the tavern enjoying food and drink in the early evening sunlight. The horses were put up, three single rooms and one double room for Astrid and Emma were rented, and equipment was stored away. Luca found a notice board with some random messages pinned to it from some of the locals. The adventurers met a guard named Bram, a foreign stable master by the name of Nica, the innkeeper Selma, and a one-armed bartender by the name of Tom. A table was found outside the tavern and the adventurers ordered food and drinks while discussing who among them would be the treasurer of their coin. It was decided that Luca would be the one to mind the coffers. Later the adventurers were joined by Trent and Oliver, who had talked to the head of the guard about securing passage back to Kingsport the following day. They told a little bit about themselves until James was bored enough to find entertainment in a game of dice, elsewhere. An agreement was made that they would continue onward to Bournemouth at daybreak, and all retired for the night. In the middle of the night Emma awakens from something stirring in her room. She instinctively reached for the material foci she needed to conjure a magical light to illuminate the room and found the room empty and Astrid vast asleep. She spent a few minutes looking around the room and when she found the door locked and the inside and outside shutters fastened, she decided to go back to sleep. When she jerked awake some time later, she was certain something was wrong and she repeated the action of conjuring a light. She found the room empty as before, except for a strange, spectral hand hovering in front of the shutters, trying to open them. She reached out and grabbed the hand and unleashed a shock of malicious energy and the hand disappeared. In that instant, the door to her room opened and she could hear the footsteps of someone running down the hallway. Emma quickly woke up Astrid and ran down the hall after the intruder, yelling for the guards as she went. When Emma turned the corner towards the exit of the building her room was in, she found the way blocked by a wall. She stood there for a moment, confused. Astrid came running in after her and seemingly disappeared straight through the wall. The confusion grew, but Emma put it aside in favour of finding a different way of pursuing the intruder and she returned to her room. James had woken up from Emma’s shouting and immediately deducted what was going on. Instead of taking the regular route down, he decided to open the shutters to his the window of his room on the first floor and climb out. While he was doing so, Emma had returned to her room, locked the door behind her and climbed out of her window on the ground floor, too. Both of them set off in pursuit of the intruder who was being chased towards the main gate by Astrid. After cornering the intruder in front of the closed gate, the adventurers realised that the intruder was invisible and they could only follow their footsteps on the dirt ground, dusty from backing for days in the summer sun. The intruder slipped past the adventurers and headed in the opposite direction, towards the other gate. Emma cast a holy prayer towards the intruder, outlining them in a faint, divine glow. Astrid set off in pursuit while James manoeuvred himself on an intercept course cutting off the pursuer’s route. When the intruder found their route blocked off by James, they grabbed a hand of dust off the ground and blew it into James face, trying to set off an arcane spell to lull him to sleep. The invisibility spell immediately broke and quickly Vadoma, the szygani shimmered into view. She clearly misjudged James’ heritage or perhaps wasn’t aware of their natural resistance against sleep enchantments, but James wasn’t affected at all. Eventually, as Vadoma was struggling to make it to the other gate, Astrid and James injuring her severely as they pursued her and eventually she fell and a bag full of red gemstones spilled from her grasp. Emma gathered the gemstones while James and Astrid made sure that Vadoma didn’t escape. The head of the guard, Milton of Green Orchard, eventually took her into custody and locked her up in a make shift jail cell and put two guards to watch over her. He said he would bind her hands and the adventurers made sure that she would also be gagged so that she’d be hard-pressed to make sure of her arcanist abilities. The adventurers went back to their rooms and try to get back to sleep. 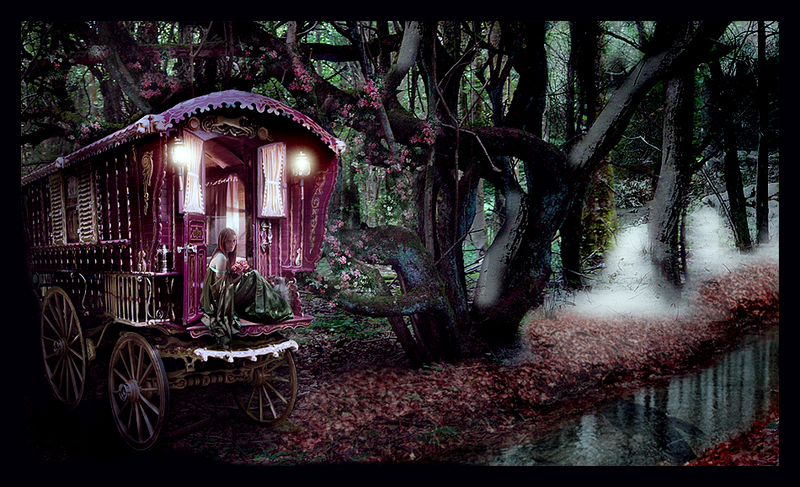 The following morning it was decided that Astrid and Emrys would get the cart ready for departure while Emma, Luca and James went to see if they could talk to Vadoma before she was taken away by the local lord’s guard. Milton explained that the lord’s punishment could be rough, anywhere from lashing, to losing a limb, to hanging. The managed to convince Milton to allow them to talk to Vadoma. 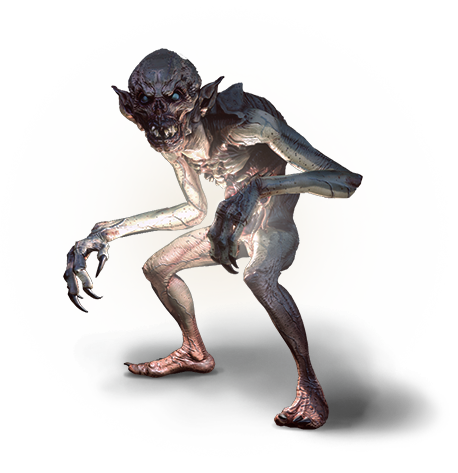 It didn’t take long before Vadoma was willing to talk, provided that the adventurers would make sure that she would be freed before they departed that day. Luca promised to do so. Breaking faith, Vadoma promised, would incur the wrath of the szygani. She explained that the gemstones she had tried to steal were Lyrium crystals. The crystals were one of two expressions of the powerful reagent Lyrium – the other being Lyrium ore – that could be found around powerful fissures, rifts and portals in the fabric of reality between the planes. These rifts haven’t been seen for thousands of years, since the Age of Fear, and therefore, Lyrium was incredibly rare and incredibly powerful. Vadoma shared that she would have taken the crystals to Duén Gwyndeith, the Palace of the White Flame in the Worthwilde, and offer them to Hlaith N’Deireadh, the Lady Without Ending, in exchange for protection during the next Age of Fear. The adventurers reapplied Vadoma’s gag and went to talk to Milton. While Emma and Luca were trying to convince Milton to let Vadoma go, James got frustrated that his companions were actually going through with it and went to help Astrid and Emrys get ready, but not before trying to sabotage his companion’s attempts to have Vadoma freed. Despite James’ attempts, Luca and Emma managed to convince Milton to go easy on Vadoma by appealing to his sense of sympathy for Vadoma being part of a misunderstood and persecuted group of people, something that Milton could sympathise with. He himself grew up in Green Orchard, but was born in Fulham and as such had to deal with many negative stereotypes about his heritage – inbred, sheep fuckers, dumb, etc. – throughout his childhood in Green Orchard. The adventurers departed and had a fairly quiet day on the Silesian Road. Their journey took them further and further away from the coast and the road became less maintained and the villages and hamlets fewer and fewer. More and more trees dotted the landscape, casting a blessed shade over the path, shielding the adventurers from the punishing heat. Eventually, they took some rest outside of the small, hillside town of Eastwarren, just before they were to turn towards the south, towards Bournemouth, the second largest city in Lyria. Just before the end of the afternoon, as the sounds of the gulls and the sea of the Lyrian Gulf started to wash over them again, they descended down into the valley of the river Bourne and the city came into view.